Scott Lively participated in a 2009 conference in Uganda on exposing the “homosexual agenda,” and directly incited hatred by falsely claiming that gays were partially responsible for both the Holocaust and the Rwandan genocide. The infamous “Kill The Gays” bill was introduced soon after, having been drafted in part by the Ugandan organizers of the conference. 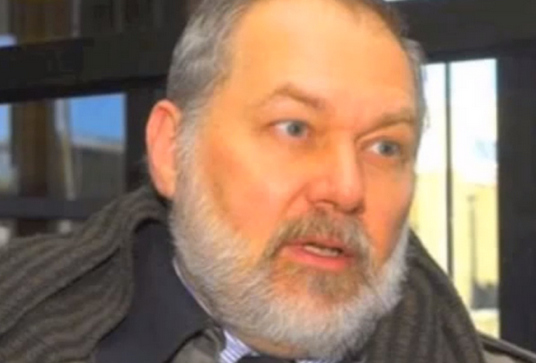 Scott Lively also admitted that he discussed the bill with Ugandan lawmakers. As their cultural cachet in free, Western societies has diminished, American fundamentalist hate groups have been increasingly active around the world. Activists like Scott Lively and coalitions like the World Congress of Families are working to demonize LGBT people wherever they find an audience friendly to their message, and LGBT people worldwide are suffering as a result. Scott Lively and his cohort have defended the deteriorating situation in Uganda, and in recent days anti-gay American leaders have spoken in support of the pogrom being carried out in Russia against LGBT people. While they always disavow violence in print, they refuse to acknowledge their role in creating the violent and oppressive climate we now see in nations like Russia and Uganda, which shows that the only thing constraining anti-gay fundamentalists in the West is the challenge of a free, educated society. In nations looking for a scapegoat for their ongoing problems, anti-gay messages from American fundamentalists help create a perfect storm of violence and oppression. Last year, TWO’s Besen confronted Scott Lively during a lecture in Oklahoma City, in order that Lively’s lies about LGBT people not be spewed without opposition. While it was a difficult task, being surrounded by some of the most extremist, anti-gay people in the country, it was necessary. As long as American fundamentalist hate groups insist on lying about and demonizing LGBT people, at home and abroad, people must speak up to correct the record. As we now see, LGBT people’s lives quite literally depend on it.